Let's face it, sometimes the world seems pretty bizarre. This week we have guest blogger, Evans Lily from SkyWeFly, walking us through the 8 weirdest hotels in the world. If you are planning on visiting some of the most amazing places in the world, then it is high time you take a look at the strangest hotels on this planet. An experience at a hotel can be more than just a bed and breakfast: unique accommodation can make the experience out of this world. Check out my comprehensive review of the 8 strangest hotels around the world below. This is a hotel that turns your bedroom into an underwater aquarium. 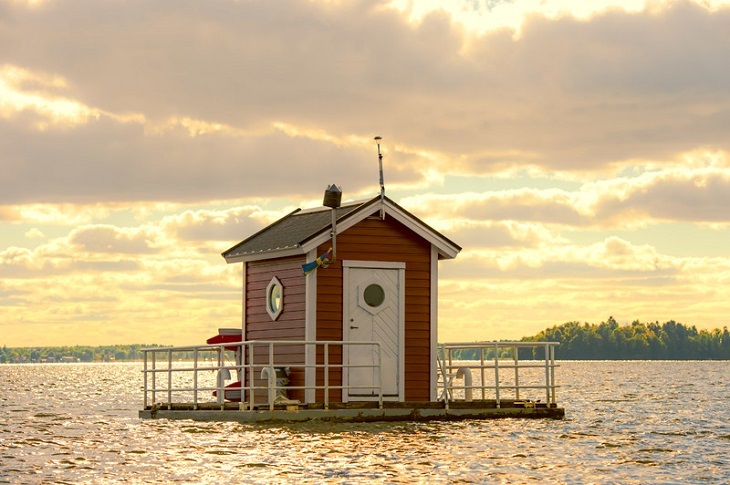 A project by a local artist, Utter Inn is located in the middle of Sweden’s Lake Malaren and consists of a deck and a cabin on a floating platform. The most important part, however, is the aquarium-like bedroom, which is found three meters below the surface, and is only accessible through a steep ladder. Guests who visit the resort often get taken out by boat, and provided with an inflatable canoe, where they are left alone to explore the natural area. Imagine a real Hobbit house turned hotel/vacation home. 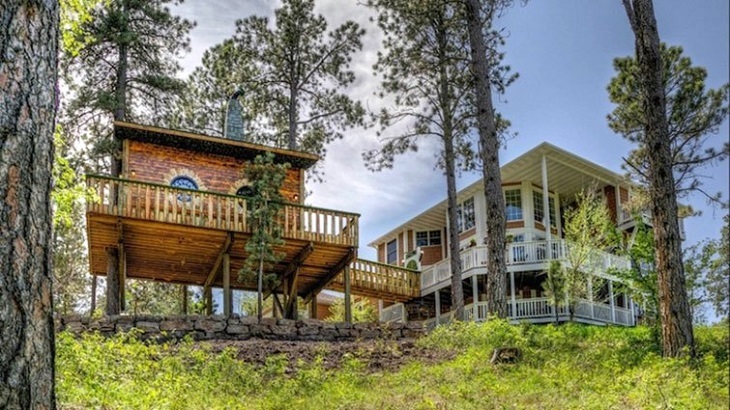 Inspired by the Lord of the Rings trilogy, this whimsical tree house is found on the shire of South Dakota’s Black Hills. The 16-foot high suite enjoys circular doors and windows, Elvish inscriptions, Hobbit Slippers, a Sauron mask and a gauntlet cradling the supreme one ring. Given the fact that it is a four bedroom vacation home called Chateau De Soleil, it was built with higher ceilings so that those people tall as Gandalf will not be inconvenienced! There is something just remarkable about going to bed while the fish are watching you. This is what I call a human aquarium where the fish become the beholders of men. 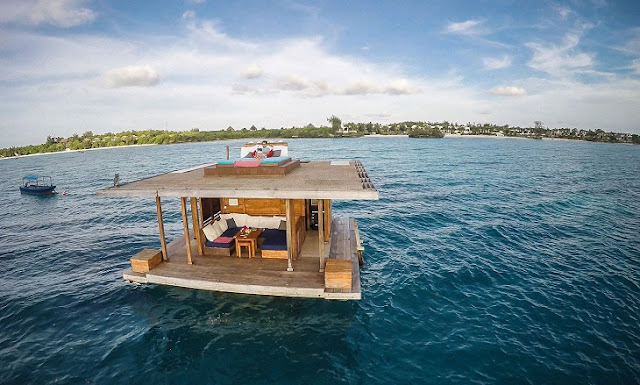 Manta Resort located in Pemba Island Zanzibar is one exclusive stay away from the resort with a beach villa on the remote island surrounded by immaculate waters. Unlike normal hotels, this one has underwater rooms where you can sleep below the surface of the water as the fish glide past large windows surrounding your bed. To add to the magic, there are spotlights under the windows that you can turn on to attract octopuses and fish around the window. The sea level floor above has a simple living area and bathroom, while the rooftop patio is perfect for sunbathing during the day and viewing the Milky Way at night. When you are not in your room, you can go for a spa treatment, scuba diving or simply go ahead and enjoy the island, which is rich in wildlife and culture. A hotel is the least place where you would expect to have spirits hovering around in the rooms. St Patrick's church in Lewistion will make you have one unforgettable night’s sleep. This church was constructed by Monsignor Thomas Wallace, where he remained as its priest until his death in 1907 when the church community decided to bury him underneath the chapel. Today, the church has been transformed into a boutique hotel and the body of Wallace currently rests in Mt Hope cemetery. 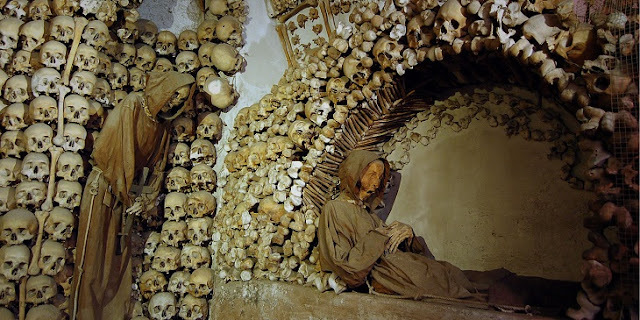 People believe that his spirit remains in the crypt underneath the hotel. Unsurprisingly, you can’t sleep in the crypt, but you can book a visit as an additional activity when you stay at the inn at Angora. 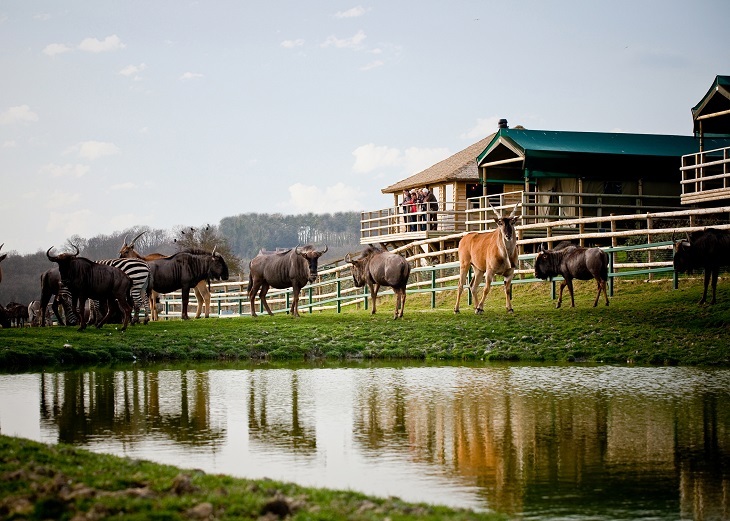 Brits who have always fantasised about seeing the wild safari game from a jeep and staying in a park lodge can now do that without having to produce their passport. Living Lodge in Kent offers the same opportunity where visitors are driven around 100 acres of land watching zebras, wild beasts and giraffes roam - and then stay in a luxury safari tent. Just when I began thinking that I had visited all the amazing places around the world, I saw this place. In the sleepy city of Harlingen, you will come across one of the cranes in the docks that have been converted into a house tourist. 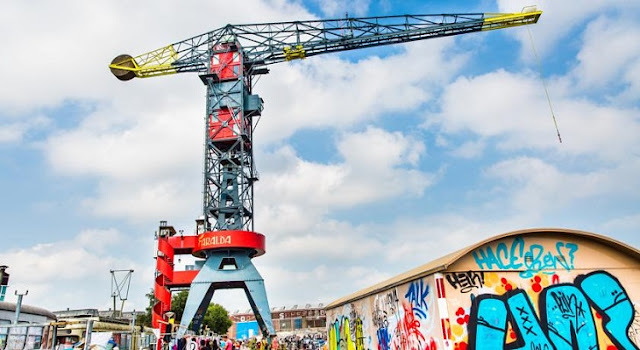 Once you go inside the crane, you will notice that the observation window remains, but the bathroom and bedroom have been fitted with a luxurious industrial chic interior. Interesting enough, breakfast is delivered through the internal special lift, and the most amazing part is that the crane still works - and that guests are allowed to maneuver it around as they want! Have you ever been to a hotel where almost everything in it is made of salt? The first thought that comes to the mind is what happens when it rains? 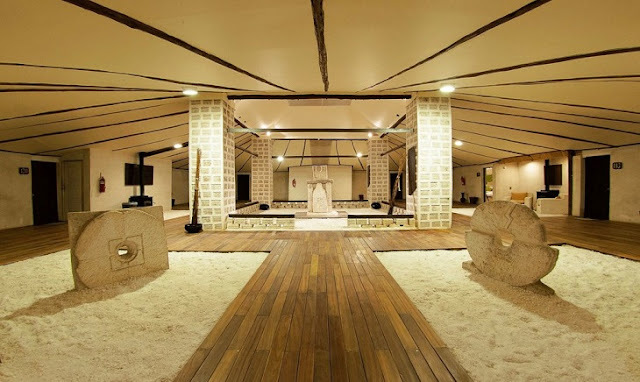 Apparently, the Palacio de Sal in Bolivia is the only hotel in the world that was made entirely of salt. The walls, floor, ceilings, and even the furniture is made from salt! It just so happens that the great salt flats of Salar de Uyuni are found 24 km away, and they provided the raw materials which were used to develop the hotel. Over 1 million salt blocks were used in the construction, while salt water was used as the mortar. 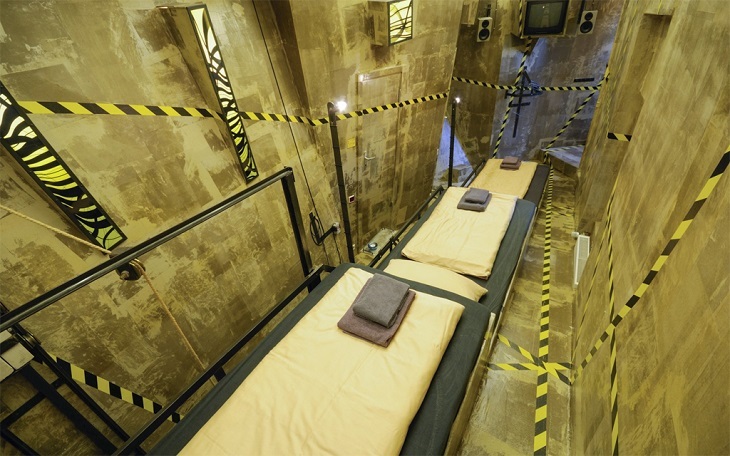 This is Berlin’s craziest hotel. The hotel has 27 rooms, and each of these rooms is exceptional in its own way. You will find that one of the rooms is enclosed by mirrors; another a prison cell; while another has pieces of furniture that all shaped like buildings. On top of all that, there is one where you sleep in a coffin! This is just crazy and - I think - freaky. So if you are considering traveling to some of the most amazing places in the world, you should consider visiting a hotel that offers a unique experience that goes above and beyond the usual bed, meals and amenities. Evans Lily is the founder of SkyWeFly, where she and her associates blog about photographs, stories and travel tips that will help make a great journey. Wow amazing hotels. I love that 1st & 2nd hotels. Thanks for sharing. Will visit there soon.